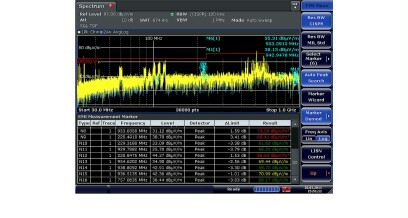 The R&S®FSV-K54 EMI measurement application adds EMI diagnostic functionality to the R&S®FSV and R&S®FSVA signal and spectrum analyzer and the R&S®FSVR real-time spectrum analyzer. 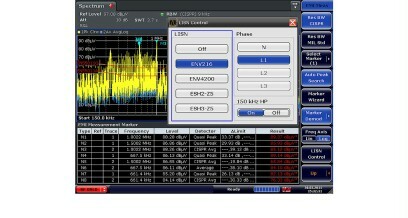 The R&S®FSV-K54 EMI measurement application adds EMI diagnostic functionality to the R&S®FSV and R&S®FSVA signal and spectrum analyzer and the R&S®FSVR real-time spectrum analyzer. The R&S®FSV-K54 offers EMI bandwidths for commercial and military applications, detectors such as quasi-peak, CISPR-average and RMS-average, limit lines and correction factors. 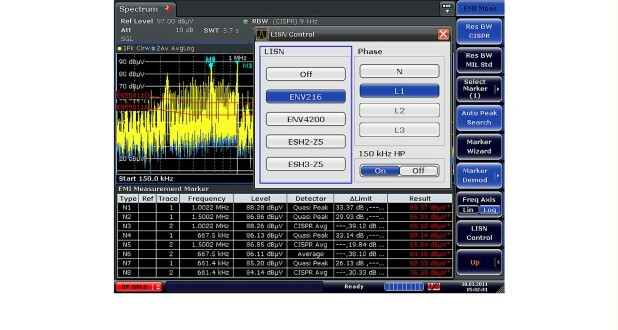 All electronic devices must be tested for electromagnetic compatibility (EMC) before market approval. The ability to assess and influence the EMC behavior of products during the design phase is one of the critical factors in developing a successful product. Preventing expensive product redevelopment and performing smooth certification help to ensure a timely market launch.